“Lead Mine Pass” Mine – closure due to major fatal accident? 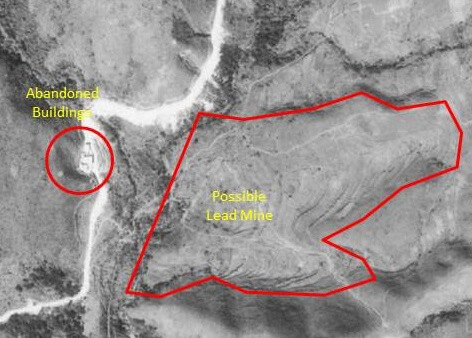 Tymon Mellor: It has never been clear why if there was a lead mine at Lead Mine pass, no one has developed the site when exploration has been undertaken all over the territory. There are references to the mine location on the contemporary maps and within Government reports following the take over of the New Territories in 1898. But no further details. If this was the case, people are unlikely to re-open the mine and risk disturbing the spirits. Over time the ground would collapse and stabilise leaving the slump features evident in the 1963 orthophoto. The report also hints at other finds, “There is a persistent report that gold exists in the hills on the east of the road from Tai Po to Fan Ling about where the Lung Yeuk Tau Road branches off.” This would be the modern Shau Tau Kok road and the area of the proposed North Fanling development. I am very interested on the confidential document of the alignment on future KCRC. Would you provide the name or source of the document? Thank you. Sorry, I don’t know the name of the document. One of our contributors is writing an article about this subject. When he posts this article hopefully he will reveal his sources and this will be amongst them. Thank you very much! I find it is quite difficult in searching for the government documents posted before the war and therefore i find this website very useful.